Nikolas, the driver, gets saved! You can sponsor a child from Peru through the Baptist Children's Home and Compassion International! Call 205-457-4549 for more info! Most of our Peru trip team ready to head out! 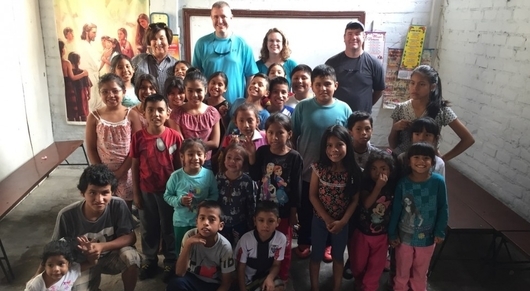 Our Lima team and happy children! 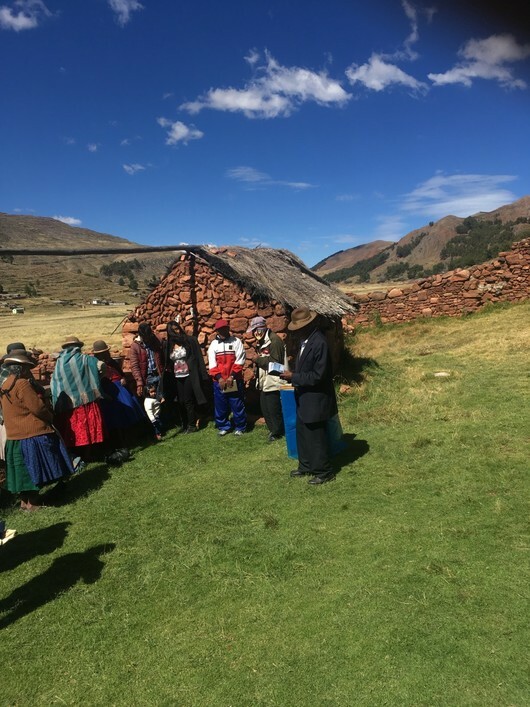 Leading an Aymara man to Christ! Welcome to our website! We are the 29 churches and one new church plant of Choctaw Baptist Association, bonded and knitted together in the love of God for the purpose of sharing the good news of Jesus Christ with the world. We are growing and learning in our walk with our Lord, and would love for you to join us on this exciting journey! Your Association is involved in mission work here in Choctaw County, in Montgomery, AL, in the New England area, and overseas in Peru. We are taking trips every year to these locations and would love for you to become involved in a life-changing mission trip. Contact our office for info on how you can get involved in Missions! Our theme for 2019 is "The Year of Prayer." Together, like the disciples in Jesus' day, we will ask God to teach us to pray. And more specifically, how to pray for the lost to be saved. I'd like to challenge every Christian in Choctaw County to choose at least one person to pray for in 2019, and to stand in the gap for them until the day they come to faith in Jesus Christ! So, let me join our SBC president, Dr. J.D. Grear, in asking this important question: "Who's your One?" Who's the one person you will commit to pray for in 2019 until they are saved? If every church member in Choctaw Baptist Association took up this challenge, 2019 will undoubtedly be the greatest year of evangelism in our 101 year history! To help prepare and train us for this emphasis on prayer, on April 25th, we will come together for a night of training and inspiration on How to pray effectively for the lost. This CBA Conference on Prayer will be held at New Life Fellowship Church at 6:00 pm. My longtime friend and pastor from Mobile, Charles Gibbs, and Dr. Daniel Wilson, Church Revitalization Specialist of ALSBOM will be leading the sessions. Ben Waites, of Alexandria, LA will provide the music for the night. You don't want to miss this night! REACH CAMP, 2019 will be June 18-21. Begin praying now for youth to be saved! November 3-5 is the date of our next great evangelistic event, Heaven's Gates & Hell's Flames,to be held at the FBC, Butler at 7:00pm nightly. If you have never seen a presentation of this dynamic production, you will never forget it. 2019 is going to be an exciting year of ministry for our Lord Jesus right here in Choctaw County. I am so glad God has given me the honor of serving with you here as your Missions Director. Let's dream big, pray fervently, and work together to fulfill the Great Commission and see people come to a saving knowledge of Jesus Christ!